As a financial advisor, I often work with clients who are concerned about how they are going to fund both their children’s education and their own future retirement. While the balancing act of saving for college and retirement can be difficult, I always say to my clients: “You can take out a loan for a college education, but you can’t take out a loan for retirement.” When it comes to education, we all want to do what is best for our children, but the emotional pull that parents go through in this savings process can be a challenge. At the end of the day, however, the reality is that saving is the primary way to fund your retirement. So, how do you reach both goals with a finite amount of savings and resources? Do you focus your efforts first on maximizing your 401(k) contributions so you can take advantage of an employer match? Or do you speed up your children’s college savings account contributions? My belief is that it’s neither one nor the other; instead, you should take a holistic planning approach. This includes setting a target amount of money that you would want to save for your child before sending them to school. It also involves mapping out a thoughtful plan, factoring in how many years you have until your child goes to school and understanding how much should be saved each month at a conservative interest rate. Knowing that college savings could be an 18-year process, it’s important to create a strategy that doesn’t undermine your retirement savings. I’ve recently been working with a couple who has a goal of retiring in the next five years. In our last session together, the wife asked me if there was an opportunity to retire earlier than the original plan as her job was becoming too stressful to manage. To help answer this question, we began to look at their projected retirement cost analysis. As it turns out, the couple had significant debt that they had not disclosed to me in our discussions over the years. This debt was accumulated through a home-equity loan and a loan on a 401(k) plan, both of which were taken in an effort to finance their children’s education. The reason they did not disclose this information is because they thought it would have been paid off by their retirement. However, their ability to retire relied on their children paying them back for the education loans. When I asked how that payback plan was designed, including the amount and the timing it would be completed, the wife became upset as they had not yet received any funds from their children to support them in this plan. While the children had both graduated and were now working on their own, they were not in a position to fund both their daily needs and pay their parents back on the student loans. As a parent, you’re likely always putting your children’s needs before your own. So, what do you do? In this case, I advised my clients to have an open discussion with their children. While it was difficult for both kids to hear about mom and dad’s financial situation, it was a reality that needed to be shared to get everyone working toward the same goal. Once that conversation was held and everyone was on the same page, my clients and I could sit down and begin to do some serious retirement planning. While having an open conversation about finances with your children is important to any plan, there are also strategies you can use to support the retirement and college savings balancing act. First, it’s always good practice to start saving as soon as you can. When your child is born, if possible, open a 529 plan or similar college savings account. While you’re working to fund this account — in any way that you can, from birthday checks to annual bonuses — you shouldn’t neglect your retirement savings. As you advance in your career and your earnings potential, a larger paycheck may help you contribute to a 529 plan and your retirement account simultaneously. I also encourage parents to get their families involved in saving for college. All family members, such as grandparents, can make contributions to 529 plans as gifts for holidays and birthdays. Rather than purchasing the latest toy or game that will soon be forgotten, money placed regularly into a college fund when a child is young can add up to a substantial financial gift when freshman year rolls around. 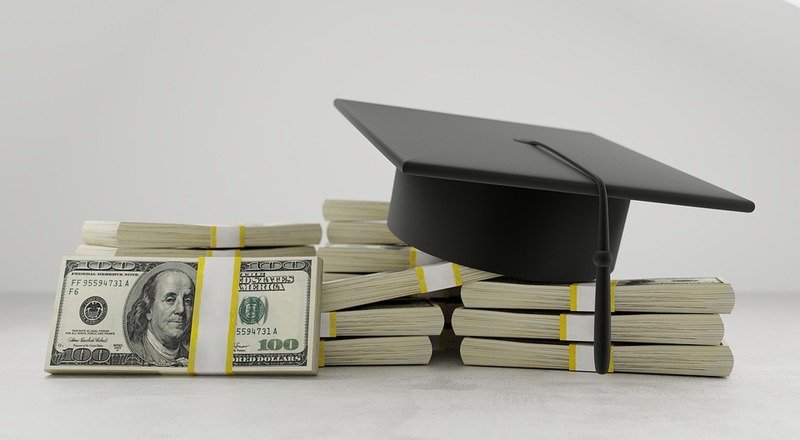 In their later years, as your child is searching for the college of his or her dreams, be sure to look at the available scholarship funds associated with the schools under consideration. It’s also important to start connecting with each school’s financial aid offices to learn more about their aid packages. Scholarships and financial aid should be considered in tandem with your current savings throughout the planning process. It’s also important for children to know how they might be able to contribute to their college fund, whether that means taking on a summer job or planning to work during college. Through the process, remember to acknowledge that less expensive schools, such as your state’s public colleges and universities, may also accomplish your child’s education goals. College is one of the most important investments you and your family will make, but it shouldn’t be achieved at the expense of a successful retirement. Both are important components to a sound holistic financial plan. I encourage parents to walk this fine line carefully, creating both a disciplined and balanced strategy as well as having open and candid conversations.